The key background is that Jack Irish was married, but his wife died. He had been a criminal lawyer, but is now a kind of private detective, lives alone (although has a relationship of some manner with Linda (Marta Dusseldorp)), does some work with horse punter Harry Strang (Roy Billing) and his offsider Cam Delroy(Aaron Pedersen), and likes to do carpentry in his spare time. Now, Jack has been introduced to his new niece – the daughter of his wife’s sister. His wife’s father, Justice Loder (Barry Humphries) has asked him to look into the death of a junkie who was blackmailing him, and he discovers a very dangerous underbelly to the city he loves. 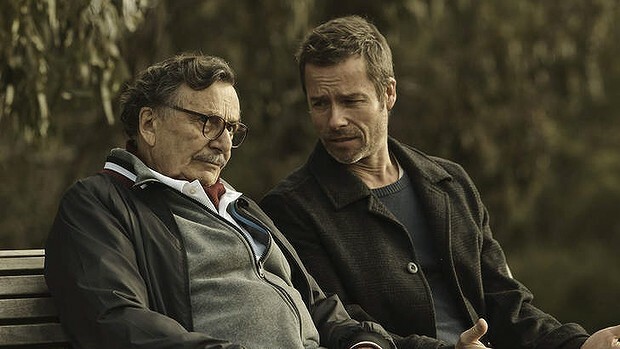 Jack Irish is a complex and broken character whose loyalty and dedication to the cause leave us wanting to see him succeed. One thing I really love about this is that things are taken to the extreme; people die and big, horrible stuff happens. But it is excellent Australian television making, with strong scriptwriting, excellent production and a wonderful cast. And the touches of humour mostly brought by the scenes at the Fitzroy Youth Club (apparently, the bar was rebuilt into a set for the filming, but it feels totally genuine. For a Jack Irish experience, head to the Napier in Fitzroy for a pot).